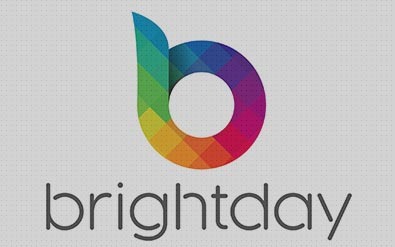 SAN FRANCISCO, Jan. 23, 2019 /PRNewswire/ — Today Brightday launches on crowd-funding site Kickstarter. Starting from $49, Brightday hopes to reach hundreds of thousands of people suffering from back pain with the first computer software solution that uses AI and augmented reality to bring better posture to computer users everywhere. Based on the research of Jean Couch, posture advisor to Kaiser Permanente, Stanford University and Google, Brightday is a computer app that uses bite-sized learning and reinforcement to easily and quickly ingrain good posture into your routine. Two years in development, this non-intrusive “posture coach” works on all laptops and desktops sold in 2012 or after, teaching better posture without requiring time or effort, and producing immediate, noticeable benefits. Brightday is available to individuals and also in tailored roll-outs for businesses. Brightday is simple and intuitive. Once you’ve downloaded the software, you choose a convenient time for your daily training session. Each session is focused on a certain aspect of your posture and provides a quick instructional video to guide you into correct position. Every day at the time you’ve selected, Brightday uses your webcam to assess your posture. When you move into an undesirable position, it guides you back to good posture and at the end of the session, Brightday provides feedback and tips. Every day, you get a little better and it doesn’t require any time away from work. A daily 15-minute session with Brightday, during which you can carry on with your regular work routine, is a small investment with huge payoffs. Replace pain, discomfort, fatigue and stress with energy, relaxation and confidence. Brightday brings self-awareness and body mindfulness for not only a better, healthier workday, but a better, healthier life. You can back Brightday on their Kickstarter page https://www.kickstarter.com/projects/brightday/improve-your-posture-effortlessly-with-brightday-s now; starting at $49 for an annual subscription. Brightday is the first, easily-accessible software solution to better posture. Developed by health and wellness entrepreneur Richard Gray and product innovator/designer Jens-Peter Jungclaussen, Brightday uses AI and augmented reality to bring better posture to everyone. To learn more about how you can sit better, stand better, and feel great, visit www.Brightday.com.